Explores to use of virtual and augmented reality in the classroom to enhance curriculum. Practical instruction focuses on the adaptation of virtual reality technologies as well as teacher and student creation of virtual reality experiences. This course examines the emerging technologies of virtual reality (VR) and augmented reality (AR) and their use in the classroom. Participants will learn the history of this medium and methods for infusing VR and AR into their curriculum to enhance student engagement. Various applications will be covered included Google Expeditions, Discovery VR, and YouVisit. Participants will also learn how to prepare their students to author their own VR experiences using a 360 degree camera. A 360 Degree Camera is included in the cost of the Wilson College version of this course (with no additional fees). Evaluate the use of virtual and augmented reality in the classroom. Interpret research on virtual and augmented reality and student engagement. Develop collections of virtual and augmented reality experiences to enhance curricular goals. 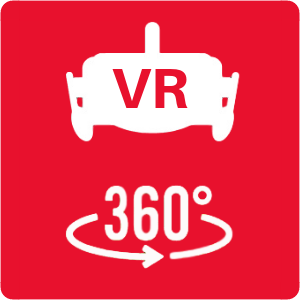 Evaluate virtual reality platforms and programs. Integrate the creation of virtual reality experiences into the classroom. Evaluate the integration of virtual and augmented reality hardware systems.